When the small European nation of Luxembourg became independent in 1815, there were fewer than 100 Jews in the country. The earliest records of Jewish residence in Luxembourg, however, date back to 1276. The first Jewish settlement followed in the early 14th century. While Luxembourg appeared fairly tolerant of its Jewish settlers, the outbreak of the Black Death proved how precarious the Jews' situation was. They were blamed for the horrific plague and driven out of the country. Uninterrupted Jewish settlement in Luxembourg began after Napoleon’s march across Europe. By 1823, there was a large enough community for a synagogue in Luxembourg City, and a Chief Rabbi (Samuel Hirsch) was appointed in 1843. The Jews played an important role in the country’s industrialization and development, resulting in a steady growth in the community. By the 1930s, with an influx of immigrants from Germany, there were approximately 4,000 Jews in Luxembourg. On May 10, 1940, the Nazis arrived. Shortly thereafter, the Nuremberg Laws were proclaimed and enforced. While the majority of the country’s Jews managed to leave Luxembourg, many of those who escaped ended up in Vichy France and were sent to concentration camps from there. At least 100 Jews were saved by the country’s former Minister of Justice, Victor Bodson, who organized an underground escape route across the River Sauer. The Chief Rabbi at the time, Rabbi Dr. Robert Serebrenik, and his wife, Julie, managed to escape to southern France. In March 1941, he met with Adolf Eichmann, who warned him that Luxembourg would be free of Jews in eleven days. Rabbi Serebrenik managed to get 250 more Jews out of the country. The Serebreniks went to New York City where they, along with 61 other refugees from Luxembourg, founded Congregation Ramath Orah in Manhattan’s Upper West Side. After the war, Jews did return to Luxembourg. Uniquely, the government actively worked to help the Jewish community rebuild and provided support for the building of a new synagogue. The small Jewish community continues to grow. Labels: Black Death, concentration camps, Congregation Ramath Orah, Jews of Luxembourg, Napoleon, Nuremberg Law, Robert Serebrenik, Samuel Hirsch, Victor Bodson, war. Make a donation to help flood victims in Houston. If you have ever had a noisy neighbor or lived next door to a construction site, then you know how frustrating it can be to lose sleep because of someone else’s actions. In order to protect citizens from being disturbed (or from loud domestic fights), many municipalities actually have noise laws determining from what time in the night until what time in the morning one must refrain from loud noises. This topic, sometimes referred to in Jewish sources as gezel sheina (stealing sleep), actually comes up in discussions of Jewish law. It is agreed upon by all that one should not wake another person unnecessarily. In fact, there is a source for this concept in the Talmud: “Rabbi Nachman said to his slave Daru: ‘For the first verse [of Shema] prod me, but do not prod me for any more.’” (Talmud Brachot 13b). Prod, in this case, means to awaken someone from sleep and implies a discomforting act. The rabbinic discussions revolved around the fact that the exact commandment or transgression involved is unclear. The use of the term gezel refers to an act of theft, and, most famously, the Chofetz Chaim - (Rabbi Yisrael Meir Kagen, and lived from 1838-1933) - is noted as saying that gezel sheina is the worst type of theft because it cannot be repaid. Theft, however, implies the loss of something tangible. In contrast, the prohibition of waking someone is frequently associated with the commandments of “Love your neighbor as yourself” (Leviticus 19:18) and “Do not mistreat your fellow” (ibid. 25:17). Whatever the reason for the prohibition, one should keep in mind to be considerate of others when hosting a party, beginning a renovation project or even just having a late night telephone shmooze. Be aware of the amount of noise you create when people in your house are sleeping. 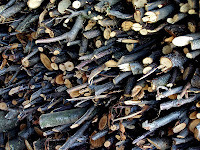 Language is considered to be one of the unique characteristics of humankind. Lazarus (Eliezer Solomon ) Geiger believed that there was a great deal to learn about humanity from studying the development of language. He was particularly interested in the evolution of the language of color, the changing recognition of color and how it connected to the development of humanity. Specifically, a thorough study of ancient texts demonstrated that earlier cultures did not recognize colors, such as blue, in the same way as it was recognized in Geiger's day and age (or our own). One of his primary theories was the connection between the evolution of human reason and the development of language. Born in Frankfurt-on-Main, on May 21, 1829, Geiger's earliest language lessons appear to have been in Hebrew, which he studied from a young age with his father. His first instinct was not to follow an academic path, but after a short stint as a bookseller in Mayence, he returned to Frankfurt, finished gymnasium, and went on to study philology at the universities of Marburg, Heidelberg and Bonn. After completing his studies, Geiger settled in Frankfurt and continued his research and writing, publishing his first major work in 1865. At the same time he worked as a teacher in the city’s Jewish high school. Being in Frankfurt put Geiger right in the heart of the shifting religious tides of German Jewry. His own family reflected that divide. Geiger was raised in an Orthodox home while his father’s brother, Rabbi Abraham Geiger, was a leader in the new Reform movement. As enmeshed as Geiger was in the intellectual world, he stayed deeply rooted in tradition. As Geiger worked toward publishing his complete theory regarding language, color and human development, he developed an infection of the heart that claimed his life on August 29, 1870, at the age of 41. Much of his academic work was published posthumously by his brother Alfred. Keep in mind that the words you choose should reflect the person you want to be. Labels: awe, bride and groom, Elul, Jewish people, Judge, King, love relationship, my beloved, relationship with God, ReTreat, Rosh Hashana, Song of Songs, torah. Write a short list of ways you feel you can build your relationship with God. In 1956, Uruguay received one of its most interesting Jewish immigrants, known to history only as Mr. Chouchani. While he was not a displaced person, by most accounts of those who knew him, he always seemed to be a man who was forever on the run. Chouchani’s background is elusive, and much of what is known about him is anecdotal. It is believed that Chouchani was born and raised in Eastern Europe and given a traditional yeshiva education. It is also believed that he was, for a time, a student of Rabbi Abraham Isaac Hacohen Kook before embarking to America, a country he later refused to set foot in. In the 1930s, he was in France. With the rise of the Nazis he fled to Switzerland, supposedly crossing the border by posing as a Muslim and quoting extensively from the Koran. After World War II, Chouchani returned to his itinerant life in France. He is described as shabbily dressed and lacking interpersonal skills. However, he made a deep impression on those he met. The range of knowledge, religious and secular, attributed to him is rather astounding. In 1947, in Paris, Chouchani met and eventually became mentor to both Elie Weisel and philosopher Emmanuel Levinas, who both spoke of Chouchani as an irreplaceable teacher who unexpectedly opened up their minds to entirely new ways of thinking. Develop a relationship with someone with whom you can explore Judaism more deeply. The Talmudic sage Rabbi Meir used to say, "Great is repentance, for on account of one true penitent, the entire world is pardoned" (Talmud Yoma 86b). In effect, this statement posits that a single person's honest repentance can alter the judgment of the entire world. But, how can redemption come for transgressions that are not redeemed or repented? In the Book of Deuteronomy, the Torah describes what a community should do when a dead body is found outside a city and neither the murderer nor the victim are known. "If a slain person is found in the land which the Lord, your God is giving you to possess, lying in the field, [and] it is not known who slew him, then your elders and judges shall go forth, and they shall measure to the cities around the corpse. And it will be, [that from] the city closer to the corpse, the elders of that city shall...[perform a ritual known as the eglah arufah that absolved them of guilt]" (Deuteronomy 21:1-3). The Torah clearly maintains that individuals must take responsibility for their actions. But, this section of the Torah also demonstrates the Torah's belief in the importance of communal responsibility. The leaders are held responsible because their community did not make an effort to get to know the stranger who journeyed through their city and did not foster a caring community that would ensure the safety of travellers. "Our Rabbis taught: When murderers multiplied, the ceremony of the eglah arufah was discontinued, because it is only performed in a case of doubt; but when murderers multiplied openly, the ceremony of the eglah arufah was discontinued" (Talmud Sotah 47b). This did not mean that the leaders of the town were no longer culpable for the actions of their citizens, it rather signified a general decline in society at large. Perhaps the solution to this issue lies in Rabbi Meir's statement. If each individual took upon him or herself to focus on fixing their own transgressions, then perhaps we would return to a gentler society in which murder was a random and unexpected event. Labels: communal responsibility, Deuteronomy, eglah arufah, judgment, murder, rabbi meir, repentance, Talmud, Torah, transgression. Be warm and welcoming to people who are new to your community. On August 23, 1917, the British government announced that they would create a military unit specifically for Jewish enlistees. The goal of the British government was to recruit the Russian-Jewish immigrants in England who had thus far refrained from joining the British war effort. The goal of the Jewish advocates who had been lobbying for its creation for several years was to create a regiment that could help defeat the Ottomans in Palestine. The quest for what would come to be referred to as the Jewish Legion began in 1914, after the Ottomans had begun persecuting the Jewish population of Palestine and had exiled many thousands of them. In March 1915, Vladamir Jabotinsky and Joseph Trumpeldor proposed the idea to British General John Maxwell in Alexandria, Egypt. They were told that England would not enter Palestine and that the British could not recruit foreign nationals. The British did, however, allow them to form a brigade that became known as the Zion Mule Corps. The Corps served at the Battle of Galliopi, where the mules were essential for water transport. The majority of the corps were either killed or wounded. After Galliopi, which was, ultimately, an unsuccessful campaign, the Zion Mule Corps was disbanded at the end of 1916, and Jabotinsky and Trumpeldor returned to lobbying the British government for a full fighting legion. When the Jewish Legion was created in August 1917, it was titled the 38th Battalion of the Royal Fusiliers and was composed, primarily, of British and Russian-immigrant Jews. A second brigade, the 39th Battalion, was comprised of American and Canadian Jews (and a few non-Jewish volunteers). In 1918, the 40th Battalion was organized with Jews from Palestine. A 41st and 42nd Brigaide was created for Ottoman Jewish Prisoners of War, who served as depot battalions in England. The Jewish Legion only saw action toward the very end of the war, when they fought north of Jerusalem and participated in the Battle of Megiddo (September 1918). After the war, the 5 brigades were reduced to one battalion known as "The First Judeans," and were finally given a distinct badge with a menorah and the Hebrew word Kadima. The Mandate government, however, gave them very little support and they saw little action. Several members of the Legion founded their own moshav in Israel named Avichayil. Designate a specific place or bank account in which to set aside money for charity. For those who are not “morning people,” every day is a new beginning, and we must be thankful to whoever invented the alarm clock, which keeps us from being labeled as “slothful” and “lazy.” No other beginning is quite as profound as the one we face annually at Rosh Hashana. During the High Holidays, God gives all people the chance to face His judgment and wipe their slate clean. Celebrate Rosh Chodesh Elul (the beginning of the month of Elul) with a special treat for yourself and share it with a friend. How the Hechsher? Is it Kosher? In addition to enabling the mass production of dry goods, clothing and automobiles, the industrial revolution allowed for the commercial production and distribution of prepared foods. While this meant less time and energy spent on food preparation, it also meant that people were less involved with, and aware of, the ingredients in their food. Some brands recognized, early on, the unique needs of the kosher market. Indeed, in 1911, Crisco shortening promoted their vegetable-based shortening to the kosher market as the product for which “the Hebrew race has been waiting 4,000 years.” However, as foods became more complex, Jewish consumers faced the question of how to know if packaged food was really kosher. In 1915, the New York State legislature made it illegal to falsely promote non-kosher food as kosher, demonstrating how easily the food industry could manipulate the market. In 1924, the Union of Orthodox Congregations of America (founded in 1898, now the Orthodox Union) created the first kosher certification agency in the United States. It was headed by Abraham Goldstein, whose background in chemistry allowed him to understand the composition of the food additives and to guide the organization’s growing body of kosher supervisors (mashgichim). In addition to overseeing already registered foods, the OU kashrut division actively sought to convince brands to obtain kosher certification. One of their greatest coups was when the Heinz food company agreed to OU certification for its Vegetarian Baked Beans in 1935. Creating competition often allows for dynamic business growth, and Mr. Goldstein created that opportunity when he left the OU and founded the Organized Kashrut Laboratories (O.K., also known as Circle K). The number of products accepting kosher oversight and trademarking a hechsher (symbol of kosher certification) continue to grow. 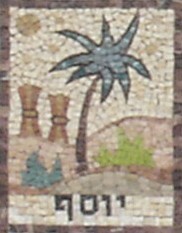 Both the OU and the OK are still among the best-known hechsherim. In order for a kosher certification to be trademarked, it must bear a distinct design, such as a simple letter U encircled by the letter O. However, the letter K alone with no particular embellishment* cannot be trademarked and any company is free to use it and claim kosher status even without rabbinic oversight. *It should be noted that there are a few exceptions to this rule. For instance, Kelloggs cereals, which have the oversight of the Rabbinical Council of New England, are marked only with a plain K or KD (for Dairy) in the United States. When asking someone about the kosher-standard of food, make certain to ask in a discrete and polite way. This Treat was originally posted on December 10, 2010. In a chassidic community, the Rebbe is far more than the decider of Jewish law and the head of the synagogue. A Chassidic Rebbe is the center of life for his community, a guide for their spiritual growth and religious practice. For many chassidim, there are few things more important than being in the presence of their Rebbe, for just being in his presence offers the chassid an opportunity to learn how to better serve God. One unique custom allows large numbers of chassidim to join in the Shabbat and/or festival meals of their Rebbe. The tisch (which literally means table) varies from sect to sect, but does have some basic similarities. The Rebbe sits at a large head table. When the tisch meal starts, the Rebbe makes the requisite blessings (such as kiddush over wine and ha’mo’tzee over bread if it is a Friday night, or just ha’mo’tzee over bread if it is a third meal, Melave Malka, yahrtzeit or other type of special meal), allowing the chassidim to respond with an “Amen.” In many chassidic communities, all of the very large portions of food from which the Rebbe takes a bite is divided into small pieces that are distributed to all those present. The food shared from the Rebbe is known as shirayim (leftovers). Some chassidic tisches are small, while others are so large that bleachers are arranged for the gathered chassidim. More than just food, the Rebbe shares words of Torah and, perhaps, inspiring stories with his Chassidim. Additionally, the chassidic tisch is known for singing. Either the Rebbe himself or someone(s) designated by the Rebbe leads those gathered in zmirot (Shabbat songs) and/or niggunim (wordless songs articulated with repeated syllables such as “aye aye aye.”) In some communities there is dancing as well. While celebrating Shabbat, explore customs from other Jewish communities. It is a terrible thing to learn that someone you care about has died. Death, however, is a natural part of the cycle of life, and a person’s passing is as much a part of the Divine plan for the world as a good or bad harvest, winning the lottery or meeting a neighbor at the store just as you realize you forgot your wallet. This is one reason that the Torah prohibits extreme demonstrations of grief not once, but three times: Leviticus 19:28 prohibits cutting one’s flesh. Leviticus 21:5 instructs the priests not to make a baldness on their head, shave the corner of their beards, or cut their flesh. Deuteronomy 14:1 reiterates the prohibition of cutting one’s self and adds a prohibition of making a baldness between one’s eyes. So what is the proper way to receive the tragic news of the loss of a loved one? The sages wrote “For good tidings one says the blessing for God, ‘Who is good and bestows good’ (Hatov v’hamativ). For evil tidings one says, “Blessed be the True Judge’ (Baruch Dayan Emet)” (Talmud Brachot 60b). These words help moderate one’s reaction and provide a gentle reminder that death is part of life, and is all part of a larger plan. The sages noted the use of Baruch Dayan Emet (B.D.E. in the language of social media) for evil tidings, and it is most often used upon hearing about the loss of a life, even when one does not know the deceased personally. However, it is a phrase that can apply to a number of situations, since it serves as a reminder that the world, in all its good and in all its sadness, is in the most capable of hands--God’s. Share the joys of your life with other people. The most significant connection of Cyprus to Jewish history is the role the island played n the history of the settlement of Israel. The British saw Cyprus as the perfect solution for “illegal” Jewish immigration. Less than 300 miles away from the Israeli coast, Cyprus became host to an extensive detention center for tens of thousands of Jews fleeing Europe who were stopped from reaching the Land of Israel. Ironically, several hundred Jews who had fled to Cyprus in the 1930s were relocated to Israel and Africa in 1941, before the Cyprus camps were created. By 1951, there were less than 200 Jews on the island. That number continued to decline until recently, when the Jewish population grew enough through professional relocations to warrant the opening of a Chabad house. On August 16, 1960, Cyprus declared it's independence. If you know a family in need, anonymously drop off a gift card for school supplies to help them at this time of year. Rabban’s descendants maintained their chieftainship of the Malabar Jews until the sixteenth century (until an argument between two heirs ended it). But, in truth, their rule would certainly have been threatened by the newest power in India: the Portuguese, who were no great friends of the Jews. At the same time, a new population of Jews appeared in the Cochin region--a community of Sephardi Jews fleeing the Iberian Peninsula. These Jews, who became known both as the Paradesi Jews and the White Jews, held themselves aloof from Malabar Jews (who became known as the Black Jews due to their more native skin tone). Today, August 15, is India Independence Day. This Treat was last posted in 2012. Find opportunities to explore the customs of other Jewish communities. The history of the Jews of Hungary reads much the same as that of the Jews in other areas of Europe. They were ever at the mercy of the nobility, with their favor waxing and waning drastically from one era to another. By the late 19th century, however, Hungary, like many other European countries, had emancipated the Jews, giving them the same rights as their non-Jewish countrymen. Prior to the late 1860s, when Hungary became a semi-autonomous part of the Austro-Hungarian Empire, the Hungarian Jewish communities had been loosely associated. In 1868, however, the government called for a Hungarian Jewish Congress to determine a communal leadership for the Jewish community. The Neologs then formed the National Jewish Bureau, which had the support of the government to guide communal affairs, but not the full backing of the Hungarian Jews. Shortly after its creation, the Orthodox community (based in less urban areas and including a large chassidic population) was given permission to open its own communal board - Orthodox Executive Committee. The Orthodox rabbis were ordained at the Yeshiva of Pressburg, while the Neolog rabbis studied at the Budapest University of Jewish Studies. The traditionalists who chose neither organization used the label “Status Quo.” This division, in which there were two governing Jewish boards, was a fairly unique situation. It continued well into the twentieth century when each of the communal boards received seats in the Hungarian legislature. Get involved in Jewish community organizations to strengthen the Jewish community for the future. The liturgy of the synagogue has developed over the span of Jewish history. Some parts of the service – such as the Shema, which is a recitation of Biblical text - originate from Judaism’s most ancient sources. Others are from the age of the early sages - such as the Amidah, which was formulated by the Men of the Great Assembly. 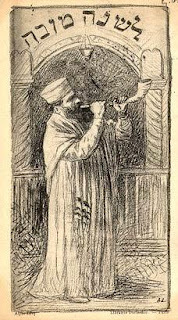 Many other liturgical pieces, however, were added more “recently” - such as Shir Hakavod, The Song of Honor, which was written in the late 13th century. The poem was added to the liturgy, and many rabbis felt that the words were so inspiring and, indeed, holy, that its actual recitation should be limited so that they do not become mundane. 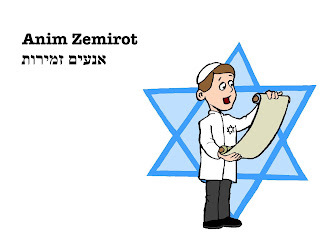 Thus it is that while An’im Zemirot is recorded in some prayerbooks as part of the daily prayer service, it is generally recited on Shabbat and holidays, often before the Torah reading service or at the end of Mussaf (the additional service). Some opinions state that it should only be recited on the High Holidays. Because it is considered particularly inspired, it is customary for the ark housing the Torah scrolls to be opened while it is recited. It is interesting to note, one additional custom: many synagogues choose a youth or call on interested youths to lead the call-and-respond recitation as a way of involving and encouraging the participation of the younger synagogue attendees. Use your own words to praise God. There are a host of Jewish foods that are associated with the American Jewish experience. Most of these, such as blintzes with sour cream, sour cream and bananas, and (of course) bagels-cream cheese-lox, are generally associated with the Jews of the Northeast, particularly New York. It might, therefore, come as a surprise to learn that during the early 20th century one of the largest kosher dairy producers in the country was located in the Midwest, in St. Louis, Missouri. After the war, the Raskas’ business began to grow beyond their St. Louis market. They became popular across the nation, particularly for their patented Smetina cream dressing. Observant Jews were particularly good customers because of the family’s reputation for maintaining strict oversight of the kashrut of their products. 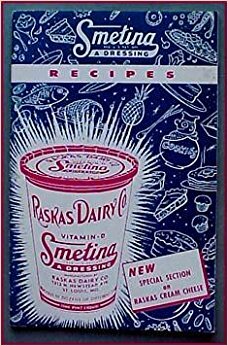 With the success of the dairy, the Raskases were able to support the growth of the St. Louis community, particularly the Jewish educational institutions that permitted families to give their children a traditional Jewish education. Louis Raskas passed away in April 1974. Raskas Dairy was purchased by Schreiber Foods in 2002. Missouri became the 24th state on August 10, 1821. Provide a Jewish education to the children in your life. The Jewish concept of “Yirat Hashem,” Fear of God, is not meant to serve as a threat to force people to obey the Torah. If that were the case, it would not be stated in Isaiah " the fear of God, which is His treasure" (Isaiah 33:6). Serving God out of fear of punishment or fear of losing one’s reward is actually a rather primitive form of devotion (although valid). This fundamental type of fear of God, cannot explain why in Judaism fear of God is often viewed as a path to knowledge. In Pirkei Avot (Ethics of the Fathers 3:11), “Rabbi Chanina ben Dosa said, "Anyone whose fear of sin precedes his wisdom, his wisdom will endure. And anyone whose wisdom precedes his fear of sin, his wisdom will not endure." This sage advice implies that seeking knowledge should be the direct result of Yirat Hashem. Knowing, seeing and recognizing God’s infinite power should drive a person to want to better understand God. Each new discovery (each new revelation of the Creator’s magnificence) should encourage each person to desire to know more, while, at the same time, recognizing just how all encompassing God is. It could be said that this was what Moses meant when he told the Israelites that all God wants of them is “merely to fear God you Lord in order to walk in His paths and serve God your Lord with all your heart and with all your soul” (Deuteronomy 10:12). Learning to sincerely fear God is not easy, but it is attainable. As the sages say: “Everything is in the hands of Heaven except for fear of Heaven” (Brachot 33b). This Treat was last posted on August 31, 2010. Look at the world for opportunities to both love and fear God. Unlike so many stories one hears about famous scholars (which usually reflect on their childhood brilliance), the tales regarding Rabbi Judah Hachasid (the Pious) describe him as a free-spirited youth who excelled at marksmanship with a bow and arrow. He was, however, the scion of a long line of renowned scholars of the Kalonymus family, and his adulthood proved that he absorbed much from the people surrounding him in his childhood. Born (1150) in Speyer, Germany, Judah ben Samuel left his hometown in the wake of the havoc of the Crusades and made his new home in Regensburg, Germany. He established a yeshiva that attracted many students who would go on to make a name of their own, such as Baruch ben Samuel of Mainz and Eleazer Rokeach of Worms. In addition to his rabbinic studies, Rabbi Judah is reputed to have had an intellectual relationship with the Duke of Regensburg and the city’s Bishop. Rabbi Judah Hachasid is best known for his Sefer Hachasidim (Book of the Pious Ones), which is still studied today. It emphasizes piety, prayer and proper interpersonal relationships. It also discusses, at great length, the significance of one’s behavior with the general non-Jewish population, a necessary distinction in the Middle Ages. Sefer Hachasidim is also considered a fascinating historical document in that it presents a view of the ways and customs of the time and place in which it was written. Rabbi Judah Hachasid was a leader of a movement called the Ashkenazi Chasidim (German Pietists, different from the modern chassidic movement that developed in Eastern Europe several centuries later). While their studies often focused on the esoteric and mystical , their moral philosophy had an important impact on Jewish culture in Germany. Rabbi Judah Hachasid passed away on 9 Adar in 1217. Tu B’Av (The Fifteenth of Av) is no longer the well-known holiday on the Jewish calendar that it was in ancient times. In fact, the Talmud states that: “There were no holidays so joyous for the Jewish People as the Fifteenth of Av...” (Ta’anit 26b). In ancient times the same ceremony also took place on Yom Kippur, but it is interesting to note that Tu B'Av is also the anniversary of the date on which inter-tribal marriages were permitted after the Israelites had entered the Land of Israel. Tu B'Av, the fifteenth of Av, was celebrated in ancient times by unmarried maidens who went out on this day to dance in the vineyards hoping to be chosen by an unmarried youth to be his bride. However, this day was marked for celebration for several other reasons. This Treat was published on August 11, 2014. The belief in an ultimate redeemer, referred to as Moshiach (Messiah), is a central tenet of Jewish faith. But, almost all of the details about the coming of Moshiach and the Messianic age that will follow are shrouded in mystery. Except for some basic concepts, the study of Moshiach related topics is the realm of advanced scholars and kabbalists (mystics). One interesting aspect of the discussion of Moshiach is that, according to many opinions, there will actually be two successive redeemers. The primary Moshiach is known as Moshiach ben David, a direct descendant of the greatest king of Israel. His predecessor, however, will be someone referred to as Moshiach ben Joseph. The Talmud mentioned the idea of Moshiach ben Joseph when discussing the seemingly obscure verse concerning the vision of the Prophet Zechariah: “Then the Lord showed me four craftsmen” (Zechariah 2:3). The sages ask, “Who are these ‘four craftsmen’? Rabbi Hana ben Bizna, citing Rabbi Simeon Chisda, replied: “The Moshiach ben David, Moshiach ben Joseph, Elijah [the Prophet] and the Righteous Priest” (Talmud Sukkah 52b). The idea that there is a redeemer who descends from both of Jacob’s wives, Rachel and Leah, is interesting in that it mirrors the royal history of the Jewish people. The first king of Israel, Saul, was from the Tribe of Benjamin (Rachel’s son). The second king of Israel, David, from whom the royal line then descended, was from the Tribe of Judah (Leah’s son). There are no definitive answers recorded for the exact role of Moshiach ben Joseph. Some scholars have determined that he will be a general in a terrible war, and some say that his tragic death will bring about the revelation of Moshiach ben David. For now, it is enough for the Jewish people to simply believe in the coming of Moshiach. This Treat was last posted on July 19, 2013. Remember that Shabbat is a time for peace and rejuvenation. For a high school drop-out who failed English three times, Leon Uris had an outstanding career as a best-selling author. The Baltimore born (August 3, 1924) son of a Jewish paperhanger from Poland who had come to America after a year in Palestine, Uris wrote epic novels of historical fiction that were well-researched and plot driven - making up for what critics notice as a tendency toward stock characters and blunt dialogue. Uris joined the Marines at 17, in the wake of the bombing of Pearl Harbor. His service as a radioman in the South Pacific was the foundation of his first novel, Battle Cry, which he published in 1953, several years after being discharged from service and working in the distribution department of a newspaper. Battle Cry was on the best-sellers list for a year and was snatched up by Hollywood, where Uris went to write the screenplay. Exodus (1958), Uris’ most famous novel, followed months of research. It is the story of the return of the Jewish people to the Land of Israel focused around the dramatic story of the refugee ship Exodus. Both the book and the movie were incredibly successful. While Uris wrote on a variety of subjects (WWII in Greece, conflict in Ireland, etc. ), the Holocaust and the State of Israel were very significant themes in his canon. His 1961 best-seller, Mila 18, chronicled the harrowing uprising in the Warsaw Ghetto. He returned to a Holocaust related topic in 1970 with QB VII, a courtroom drama about a libel case unveiling the horrible acts of a hidden former Nazi. The Haj (1984) presented Uris’ view of the Palestinian perspective of the events surrounding 1948, and Mitla Pass (1988) explored the 1956 Sinai campaign. Uris was a celebrity writer who continued to produce popular novels throughout his life. His last book, O’Hara’s Choice (concerning issues facing the U.S. Marine Corps after the Civil War), was published in 2003, a few short months before he passed away at the age of 78. If you don't like non-fiction, read Jewish fiction to learn about Jewish history. Most governments recognize age 18 as the age of legal adulthood at which a person assumes full responsibility for his/her life. They no longer need a parent or guardian’s permission for anything. They can vote and are held fully accountable for any debts they may accrue or crimes they may commit. But, in truth, the process of becoming an adult is much more than reaching a particular age, it is a process of maturation. From a childhood of being taken care of through an adolescence of questioning and, sometimes, rebellion, a person not only develops an identity, but also the ability to understand and follow the rules of society. Some Bible commentators view the history of the Jewish nation metaphorically as the process of maturation. The Children of Israel were delivered through the miracles of the Exodus. In the Wilderness, all of their basic needs - food, clothing and shelter - were met. But, like many adolescents, they also struggled through periods of questioning and rebellion. Continuing the metaphor, entering the Land of Israel was the beginning of adulthood. They would no longer be sustained through miracles, such as the manna (heaven-sent food), and they would have to live by the rules that were set down for them in the Torah. You shall not test the Lord your God... You shall diligently keep the commandments of the Lord your God, and His testimonies, and His statutes, which He has commanded you. And you shall do that which is right and good in the sight of the Lord; that it may be well with you, and that you may go in and possess the good land which the Lord swore to your fathers (Deuteronomy 6:16-18). The first verse of this statement, “You shall not test the Lord,” is like a declaration from Moses that the time has come to accept adulthood. No more rebellion. There is a proper way of addressing God, and there is a right path and a wrong path, and it is now time for the Children of Israel to grow up and become the Nation of Israel. Take a few minutes each day to look at the blessings in your life. Today, Jews all over the world are observing the fast of Tisha B’Av. It is on this day that the Jewish people mourn the destruction of both the First and Second Temples. The First Temple was destroyed almost 2,500 years ago and the Second Temple 1,947 years ago. It is therefore not easy to understand what exactly it is that the Jewish people mourn. “Solomon’s Temple” stood for 410 years. It served as the center of Jewish spiritual life, and Jewish pilgrims from all over ascended to Jerusalem three times a year. Pirkei Avot/Ethics of the Fathers (5:5) states that ten miracles occurred in the Temple--for instance, the fire of the altar was never extinguished by rain. NJOP and Jewish Treats hope you all have a meaningful and easy fast.